Kohinoor Foods was founded in 1978 by Sadrudin Nanji, a Ugandan refugee who sought sanctuary in Canada after Idi Amin expelled all the South Asian citizens from Uganda. Despite being discouraged by his peers who thought that being a Moslem would create problems for his business, Mr. Nanji opened the grocery store and within one week business was booming! In 1990 Azim Popat and his brother purchased the business from Mr. Nanji, who is their brother-in-law, and have continued there ever since. 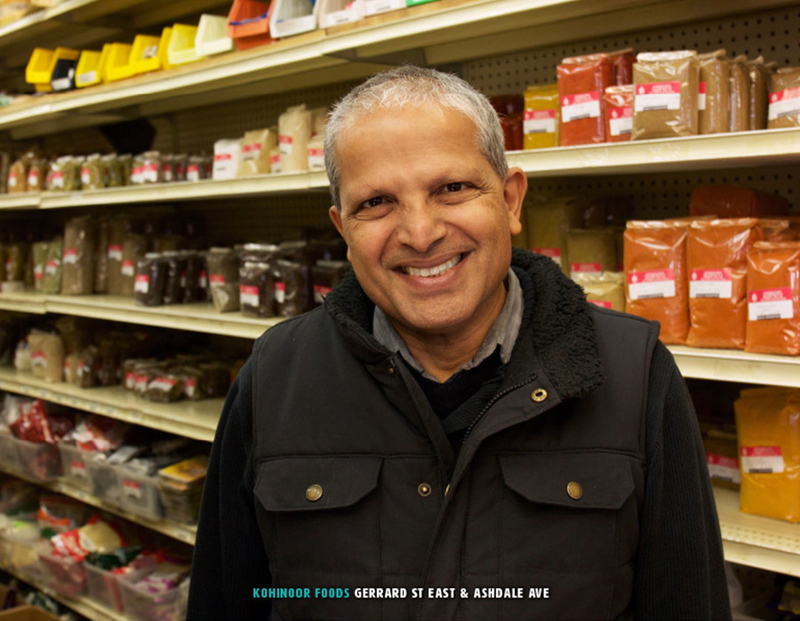 Kohinoor Foods is a cornerstone of the Gerrard India Bazaar and has been supplying South Asian groceries to the community for almost 40 years. Two of their specialties include a wide selection of spices that come fresh from India and are ground at a local miller and their mangoes which come from all over the world, but specially from India and Pakistan!